Benoit Mandelbrot documentary from 1995. 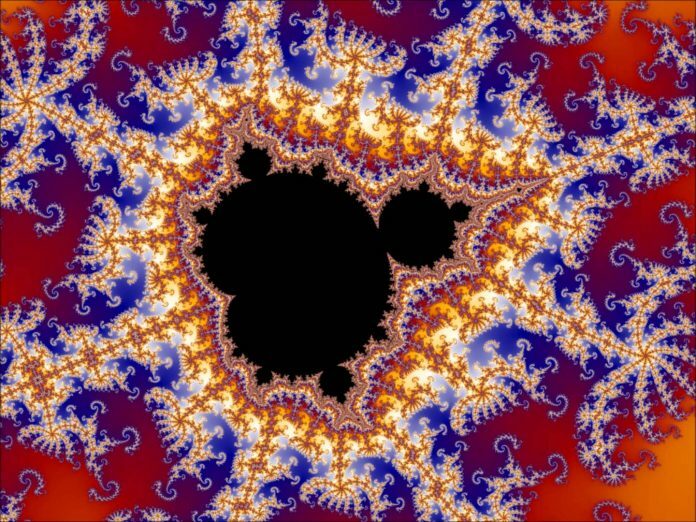 Mandelbrot discovered what is now called the M-Set in the early seventies and coined the term ‘fractal’ to describe the geometry behind it. The power and the beauty of fractals were only capable of being seen with the advent of computers, which become psychedelic windows on the infinite when using simple fractal equations. The Mandelbrot set – someone has called it the thumb-print of God – is one of the most beautiful and remarkable discoveries in the entire history of mathematics. With Arthur C. Clarke as narrator and interviews with a number of notable mathematicians, including Benoît Mandelbrot, this program graphically illustrates how simple formulas can lead to complicated results: it explains the set, what it means, its internal consistency, and the revolutions in thought resulting from its discovery. Asked if the real universe goes on forever, Stephen Hawking defines its limit of smallness; the Mandelbrot set, on the other hand, may go on forever. The invention of the silicon chip in the 1970’s created a revolution in computers and communication and hence transformed our way of life. We are now seeing another revolution which is going to change our view of the universe and give us a better understanding of its’ working. Next articleThe Mars Underground (2007) – documentary film exploring what future potential Mars missions could look like and how humans might one day be able to colonise the planet.